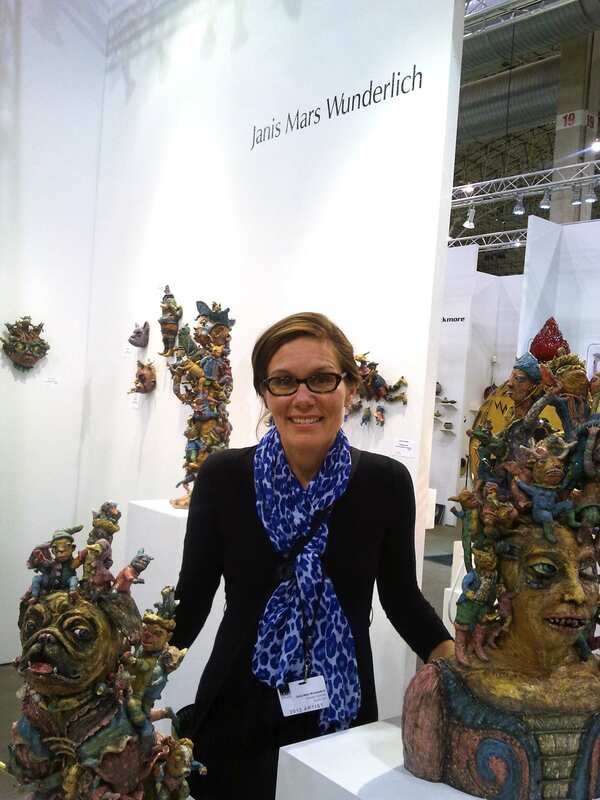 Janis Mars Wunderlich was born in Akron, Ohio and began making art at an early age. She completed a Bachelor of Fine Art degree at Brigham Young University (with dual emphases in ceramics & printmaking). Her Master of Fine Art degree was completed at The Ohio State University. Her ceramic sculptures have been in numerous national and international exhibitions. She has held workshops and lectures at many museums and universities throughout the U.S. and Canada. Janis is an assistant professor of art history, ceramics, and art foundations at Monmouth College, Monmouth, Illinois. She is represented by Sherrie Gallery in Columbus, Ohio.